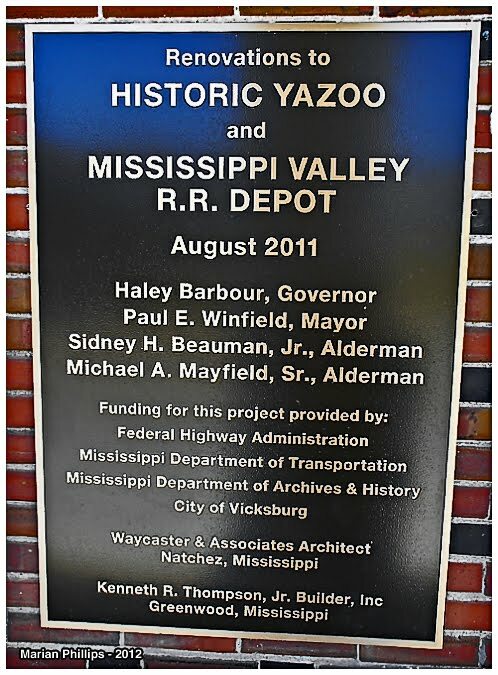 The Yazoo & Mississippi Valley Railroad museum, located on the banks of the Yazoo River in Vicksburg Mississippi, is in the home stretch, opening soon. When we first visited this station in May last year, the structure was looking rather forlorn, surrounded by the highest flood water of the Mississippi River on record in 75 years. 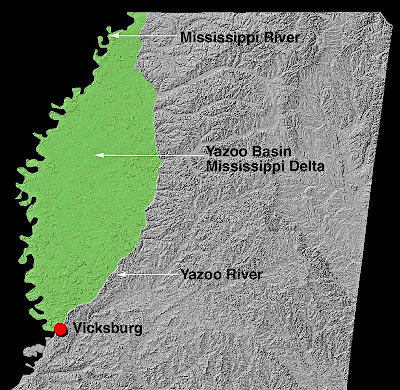 Last years flooding was acerbated by Vicksburg being located at the confluence of the Yazoo and Mississippi Rivers. 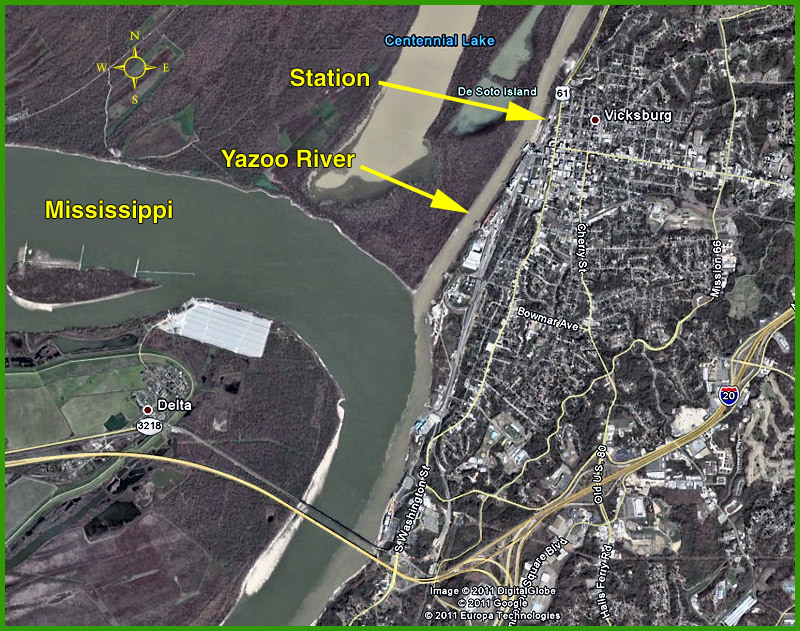 At one point during last summer's inundation, the Yazoo actually flowed upstream! 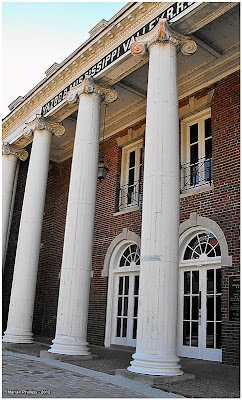 "In 2001, the city purchased the former Yazoo & Mississippi Valley Railroad Station on Levee Street and property surrounding it for about $295,000. "A $2 million mix of federal stimulus money, grants and pledged general fund dollars from the city over the past 10 years, spent preparing the building to house exhibits, to include a collection of rail cars one owned by former Mississippi House speak C. B. 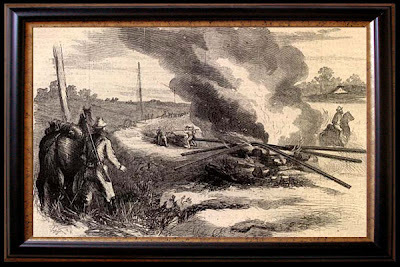 "Buddie" Newman. 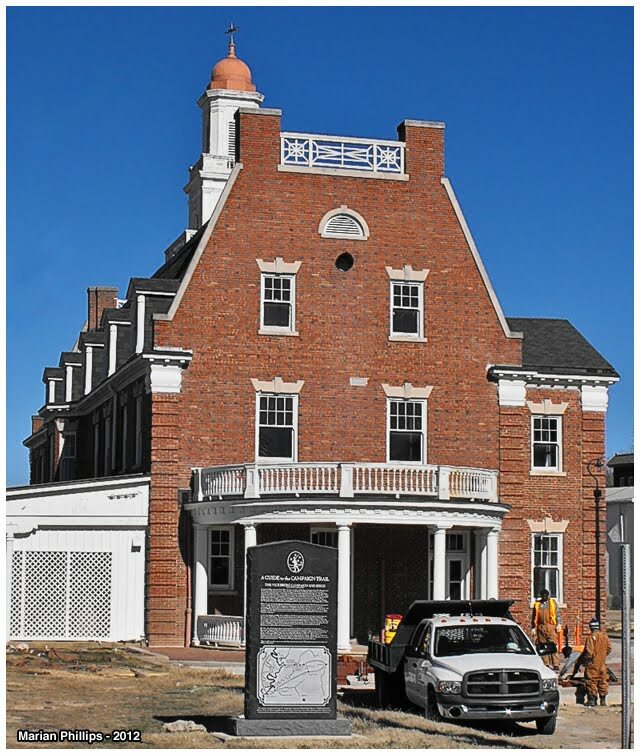 A library of books about cars, steamships, churches and more will be available for checkout. 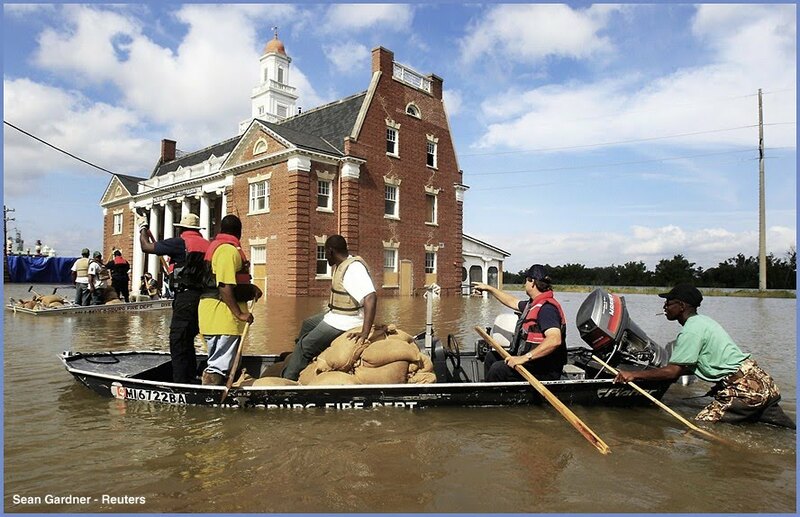 The structure became the central icon of the flood and was a favorite backdrop for the national media." 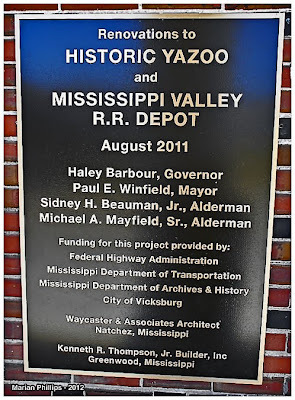 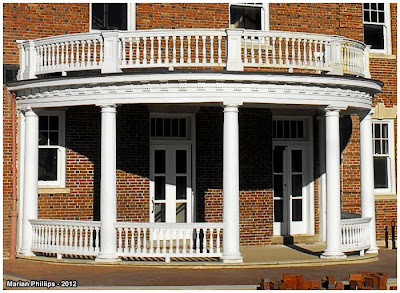 If you'd like to donate to the restoration and operation of the Yazoo Station Museum, make checks payable to The Vicksburg Battlefield Museum and mail to: Friends of the Old Depot, 4139 I-20 Frontage Road, Vicksburg, MS 39183. The Yazoo River Basin, also known as the Mississippi Delta, is defined by the Yazoo River and Mississippi River to the west. 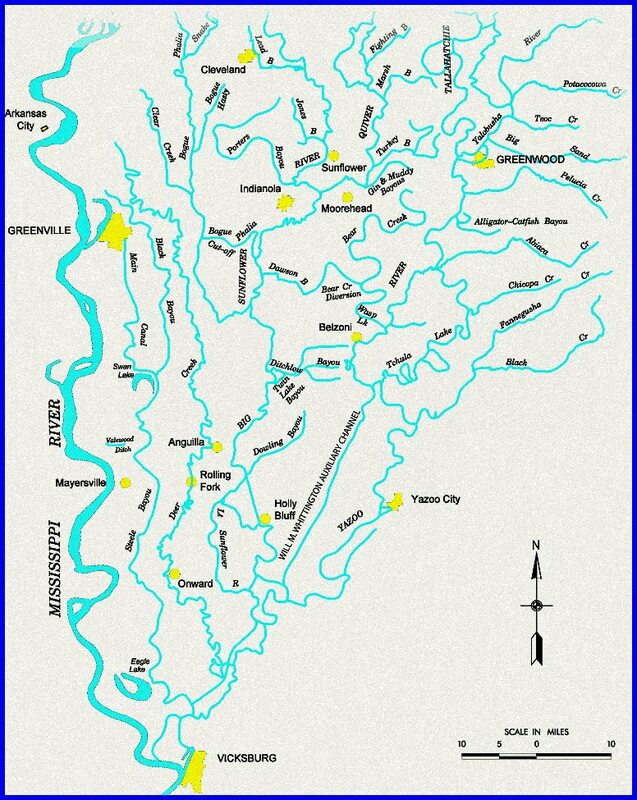 Not to be confused with the Mississippi River Delta, where the river drains into the Gulf of Mexico. The area is renown for containing some of the richest agricultural land in the world! 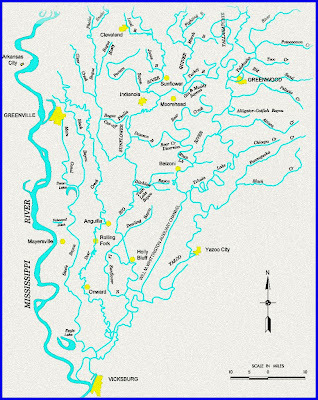 Replenished by annual flooding, until the introduction of berms and dikes, the area is criss-crossed by creeks and streams. And there is geologic evidence, dating back to 1500 BC, suggesting what is now the Yazoo River was once the lower reach of the Ohio River. 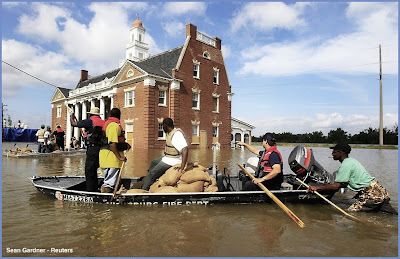 Over Eons, the Ohio sought its current alignment, joining the Mississippi much further up river at Cairo, Illinois. In addition to its interesting geologic history, students of the Civil War look to Vicksburg with its pivotal role in the war. 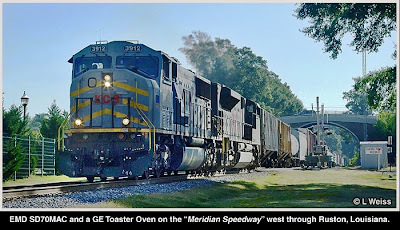 Today, the Norfolk Southern - Kansas City Southern's "Meridian Speedway" roars through Vicksburg just south of the Yazoo Railroad Station. 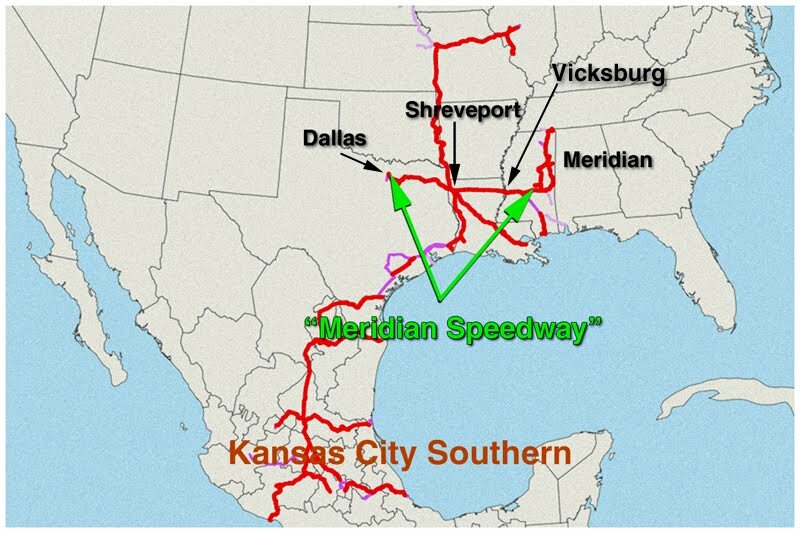 "The Meridian Speedway, LLC ("MSLLC"), a seventy-two percent owned consolidated affiliate that owns the former KCSR rail line between Meridian, Mississippi and Shreveport, Louisiana, which is the portion of the KCSR rail line between Dallas, Texas and Meridian known as the "Meridian Speedway." Norfolk Southern Corporation ("NS") through its wholly owned subsidiary, The Alabama Great Southern Railroad Company owns the remaining twenty-eight percent of MSLLC." 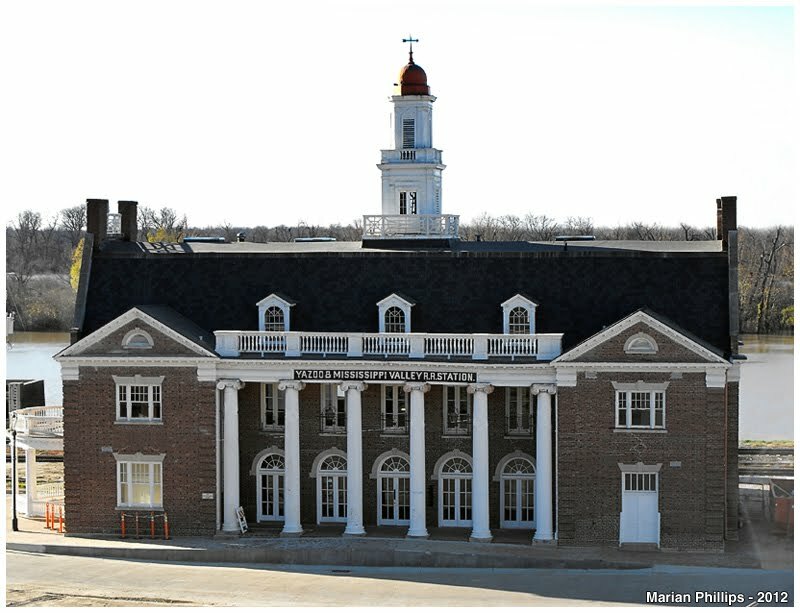 Source: Kansas City Southern 2010 Annual Report. The east end begins with operating rights over Norfolk Southern track from Meridian to Atlanta. 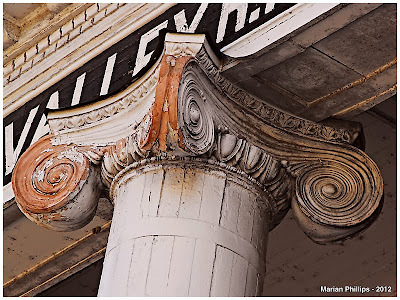 At the west end, Kansas City Southern operating rights with the Union Pacific from Shreveport, Louisiana west to Dallas, Texas. 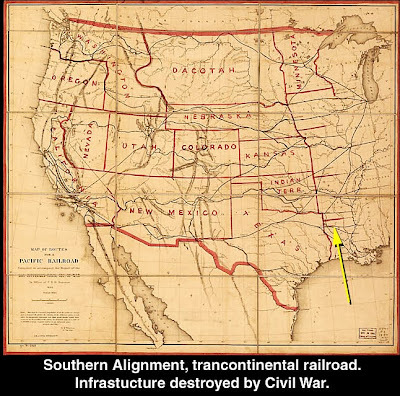 This alignment follows roughly the original plan to link the east to west coasts - the proposed transcontinental rail belt. 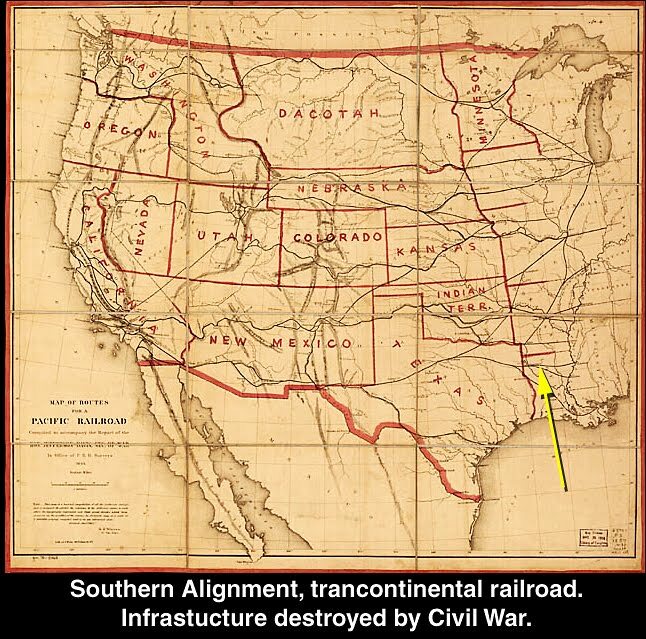 But the near total destruction of rail infrastructure over several railroads during the Civil War resulted in Congress promoting a more northern route connected at Promontory Point Utah. Railroad Stuff: Kansas City Southern (KCS) 3912. 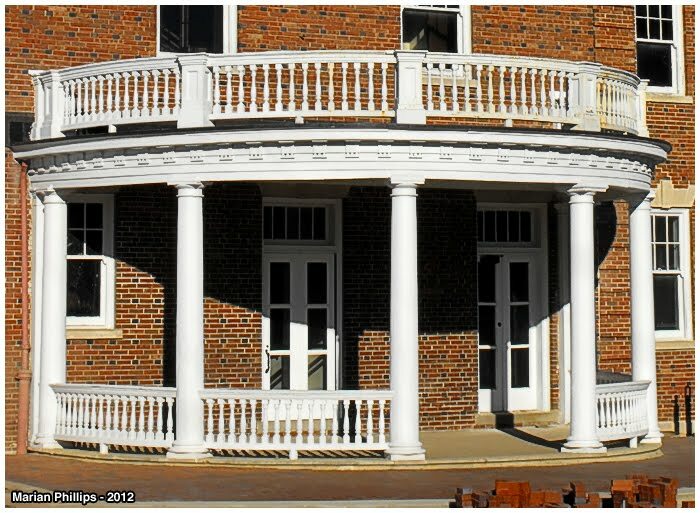 Originally built as Transportación Ferroviaria Mexicana (TFM) 1612, 1 of 75 units purchased. TFM is now Kansas City Southern de México (KCSM.) 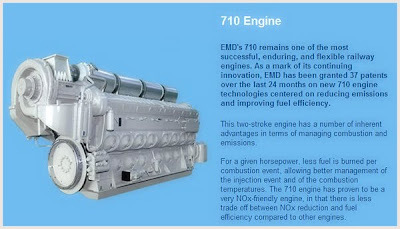 Electro-Motive Diesel model SD70MAC (SD= Special Duty, M=wide body, AC= alternating current traction motors.) V16-710G3B-EC 4,000 hp main engine. 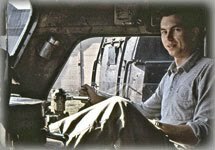 Photo and Content Gratitude to Marian Phillips, and Leland Weiss, who are very fortunate to live on the "Meridian Speedway." 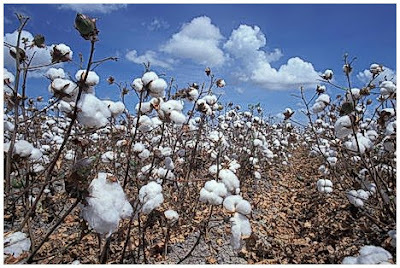 We anticipate future contributions!